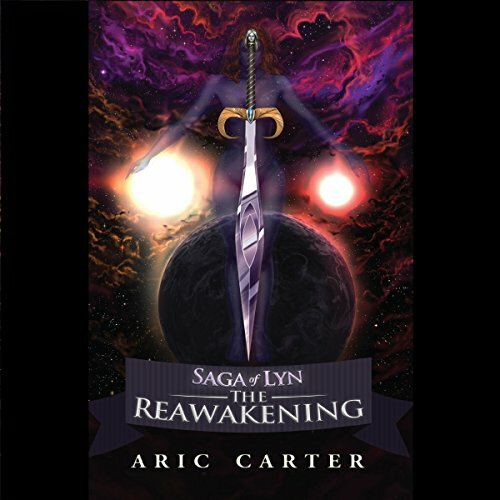 Showing results by narrator "Aric C. Carter"
The Saga of Lyn: The Reawakening is a compelling tale of a simple man’s adventures as he seeks justice for the murder of his wife and daughter, only to find that his entire world is threatened. When a mysterious visitor destroys jovial Tegain Hostler’s tavern, killing his beloved wife and daughter, Tegain is devastated. Not knowing how to pick up the pieces of his shattered life, he turns to his friend, the trader Karl Dunmire, who comes upon the wreckage the following morning.